During their peak of popularity they were a favourite of the Hungarian aristocracy. Alert, lively and active dogs. 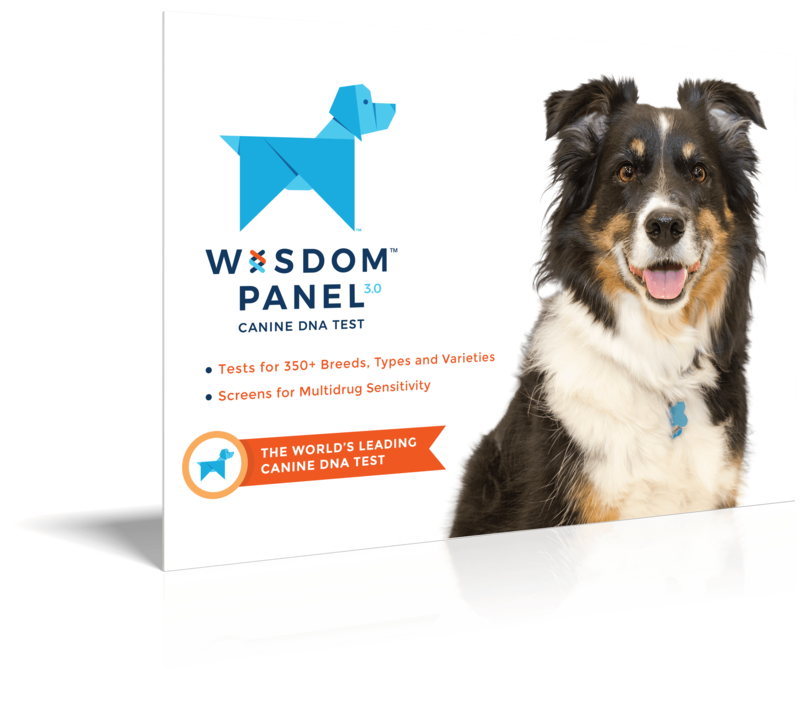 Courageous breed that will generally prefer rural environments to city life. Eager to learn and responds well to reward-based training. Intelligent, easy going, and usually friendly dogs. Ancestors of this breed accompanied the Hungarian tribes that invaded the area in the ninth century and were crossed with local varieties of dogs and Polish hounds. 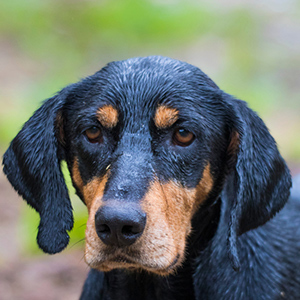 Also known as a Transylvanian Scent Hound or Erdelyi Kopó, they are an ancient Hungarian breed that has been largely determined by the unique climate, territory and hunting conditions of the area in which they were bred. As a result of the influence of the various conditions of the terrain, both a long-legged and short-legged variety came into existence. The long-legged variety was used for hunting game such as bison, bear, boar and lynx; while the short-legged variety was used to hunt smaller game such as fox, hare and chamois. After a steady decline, by the 20th century the breed was nearly extinct. 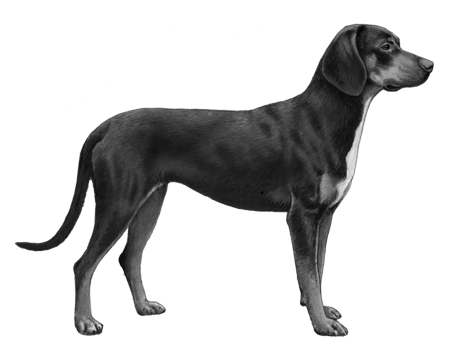 The larger (tall) variety of the hound made a comeback and many of those can be found today, primarily in Hungary and in Romania, but the shorter version has since become extinct. 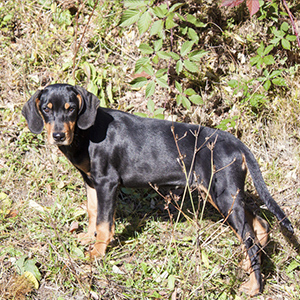 The Transylvanian Hound is a large-size dog with a dense, course and shiny coat with a soft undercoat. 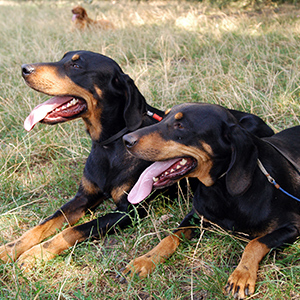 The acceptable colours for the breed are primarily black, with tan markings on the muzzle and legs and a tan points on each eyebrow. 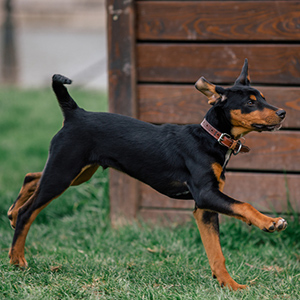 Good-natured, courageous, and lively, these fun dogs need plenty of space and opportunities to run and play. When properly trained for hunting, they can hunt independently and a distance from their handlers either alone or in groups.